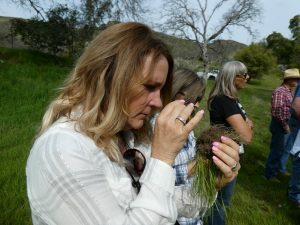 Any day out on one of the Sierra Foothill Conservancy’s Preserves is a special adventure but when I attended a class to understand more about range management on the McKenzie Preserve with spring wildflowers painting the hills, I came away with a better appreciation for the complex relationship of the soil, sun and things in between. I will return soon to check out those wildflowers. As a bonus I received an up close reminder that rattlesnakes are out and about. When we think of the Sierra Foothill Conservancy, we often think first of wildflowers and hiking but many other classes are offered on their Preserves. A sampling of their recent events include classes and hikes focusing on wildflowers, birding, amphibians, reptiles, history, racing and yoga. You can find a listing of their events here. One of these unique events caught my eye and the event was titled Ecosystem Process Monitoring and Discussions on Animal Impact and Grassland Ecology on the Ruth McKenzie Table Mountain Preserve. 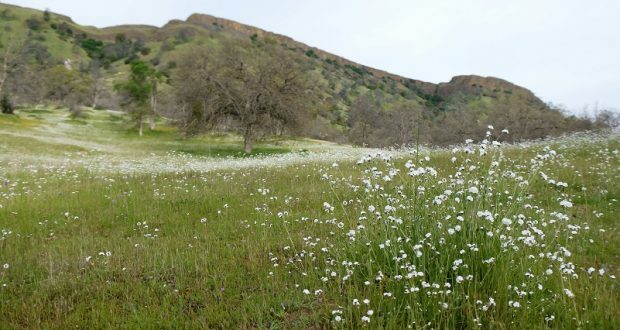 The Ruth McKenzie Table Mountain Preserve is one of eight nature preserves owned by he Sierra Foothill Conservancy that total 6,481 acres. The McKenzie Preserve was acquired in trust from The Nature Conservancy in 1998. The property had previously been placed in a trust by its owner, Ruth Bea McKenzie, who wanted it to remain in ranching and open space after her death. The McKenzie Preserve is primarily grassland and oak woodland that slopes upward toward the basalt lava table lands that give the preserve its name. The attendees in the class that I attended included local ranchers and presenters Kent Reeves, Billy Freeman, Joe Morris, Richard King, and Peter Donovan. 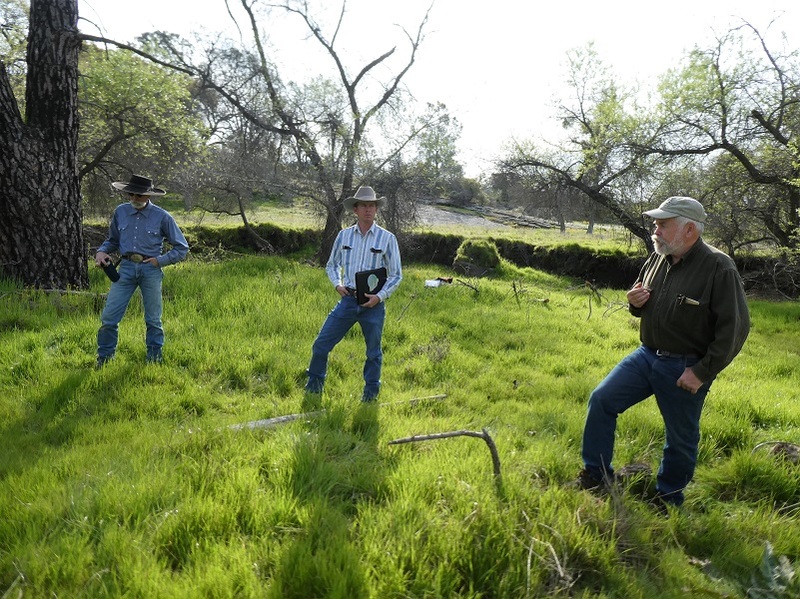 Discussions about livestock management practices that can enhance ranch economics and the ecosystem processes that sustain us were the central topic. 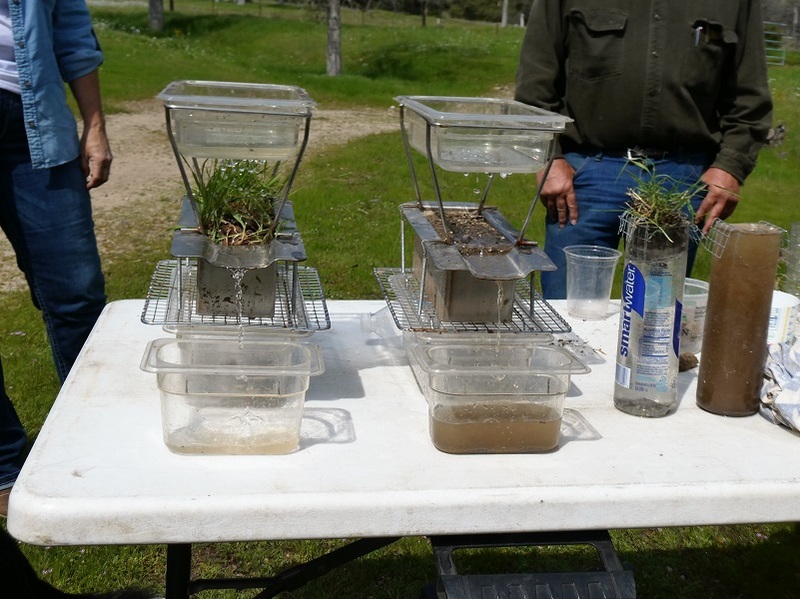 We observed and participated in several demonstrations that helped us better understand what a healthier soil environment looks like and how a less vigorous environment can go downhill quickly without the needed vegetation protection. 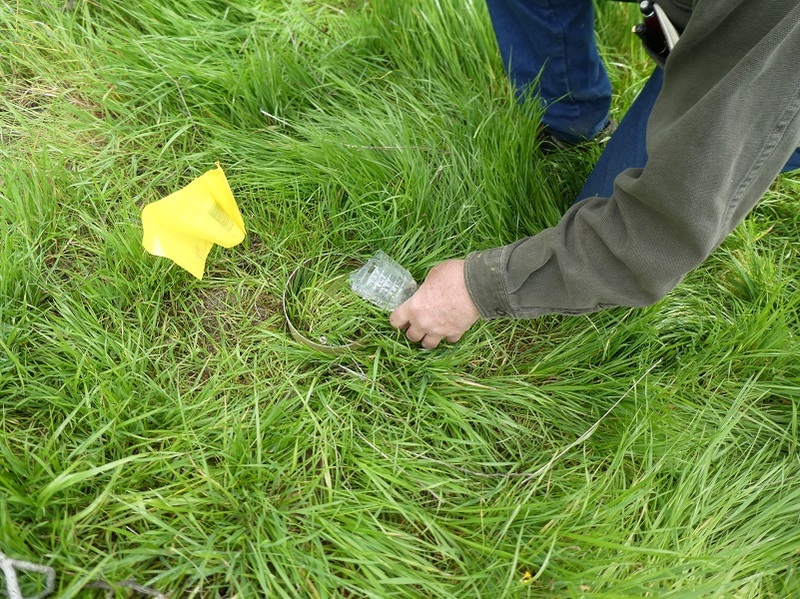 One of the most interesting parts to me included how they have been monitoring a high density, short duration herd impact site that highlighted the potential benefits of Planned Grazing Implementation. 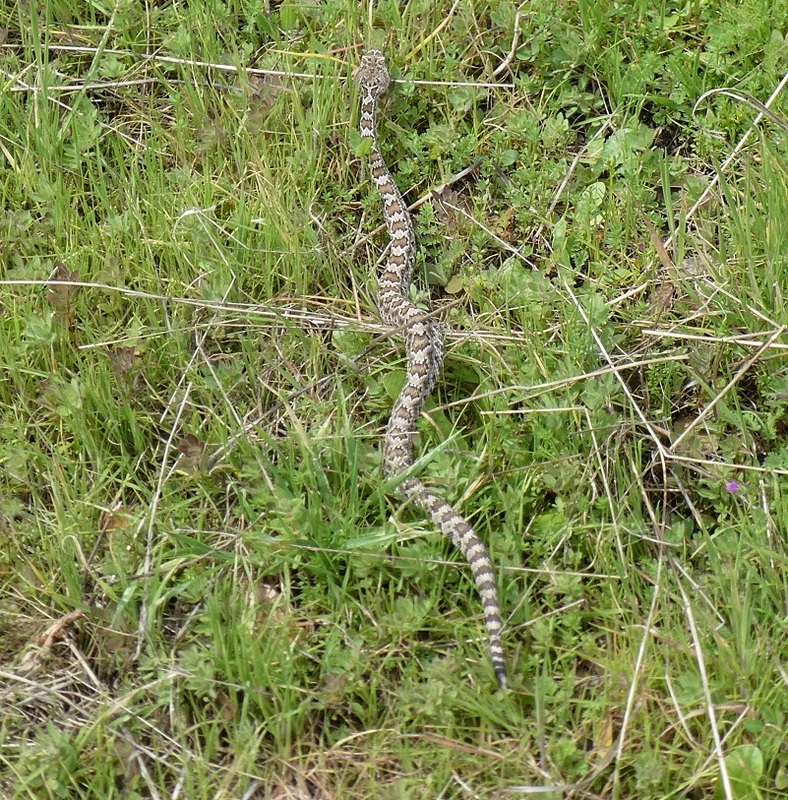 As we headed up to the road to our next station, I spotted my first rattlesnake of the spring. It was 12-15 inches long and headed away from us but wanted to share this because our recent warm weather has them out and about. These Preserves are only available to be accessed through their scheduled hikes, classes and open preserve days. They are very special places with sensitive environments, some set aside for specific endangered species, while some are donated by landowners who want to see the land cared for and protected forever. The hikes and classes are led by a very dedicated group of volunteers who are passionate about sharing the wonder of nature with visiting hikers. 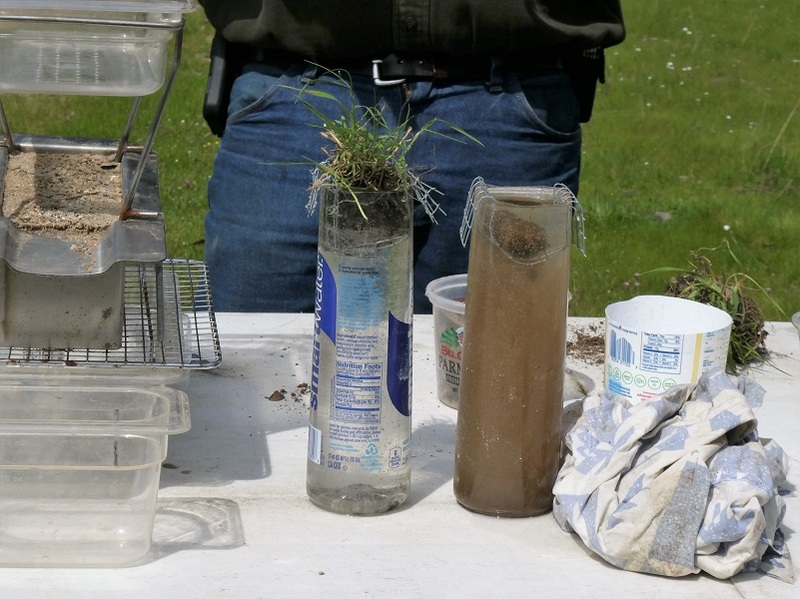 As they lead groups on the various properties, they share aspects of cultural history, habitat features, and facts associated with the specific property visited. Each of these dedicated hiking docents have varying backgrounds, lending expertise in a variety of areas. A link to their website with their Event Calendar is at the end of this Blog. You can even sign up online. 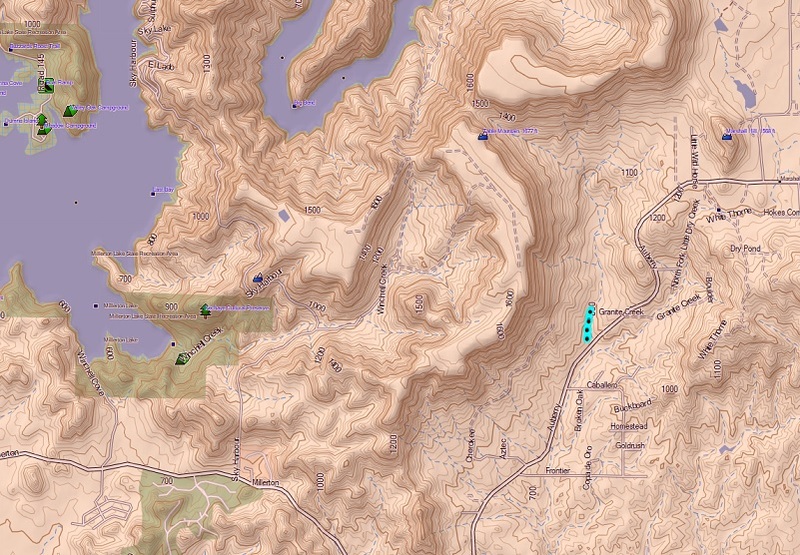 If you are a member of the Sierra Foothill Conservancy, which is $50, the hikes are free and if you are not a member, they are as low as $10. 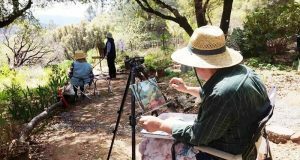 They also have several Open Preserve Days throughout the year where it is free and one of those is coming up at the McKenzie Table Mountain Preserve on March 30. I think these hikes are especially beautiful in the spring when the wildflowers are blooming but you never know what you will come across on any hike. For information on this Free Open Preserve Day, you can check it out on their Events Page. Sierra Foothill Conservancy Dog Policy: In order to protect endangered species and sensitive habitat, only service dogs are allowed on the Preserves, with the exception of the Stockton Creek Preserve in Mariposa where dogs are welcome at any time.